Join the fantastically popular, Mister Maker and make fabulous art projects. Each kit contains craft items and instructions to create amazing dress ups, photo frames, flowers and more! 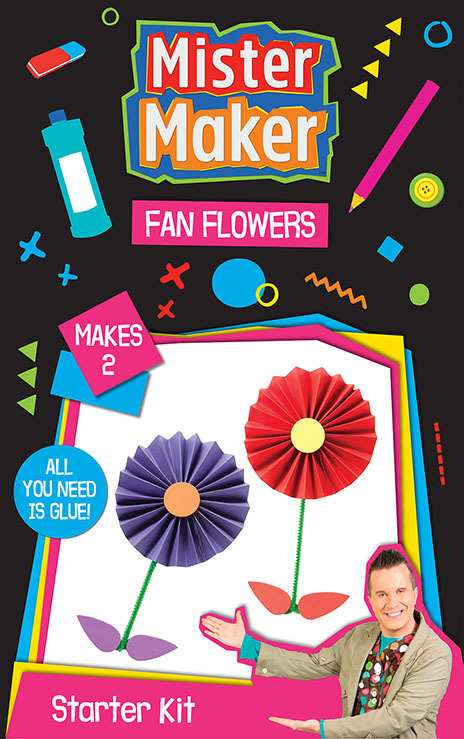 Make beautiful fan flowers with Mister Maker – all you need is glue! 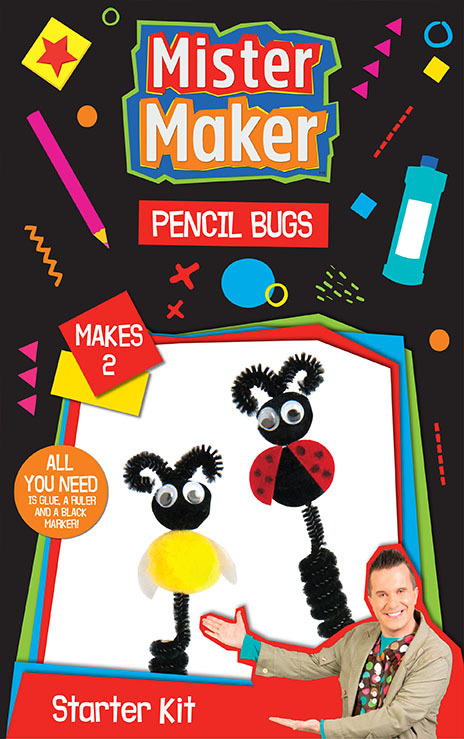 Make a cute pencil bugs with Mister Maker! All you need is glue, a ruler and a black marker. 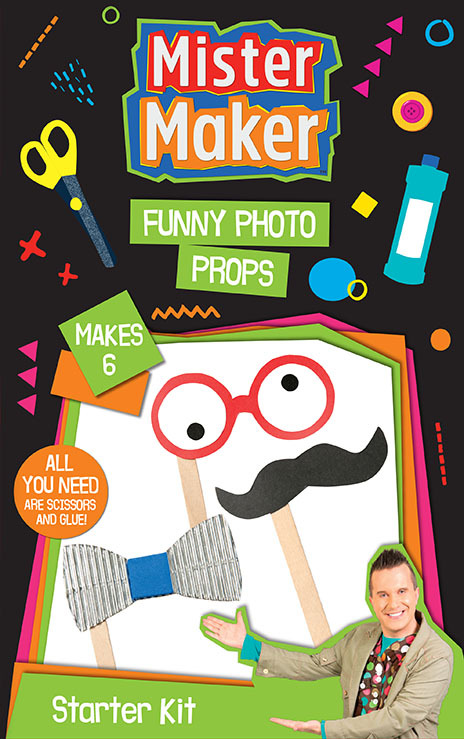 Make funny photo props with Mister Maker! All you need are scissors and glue! 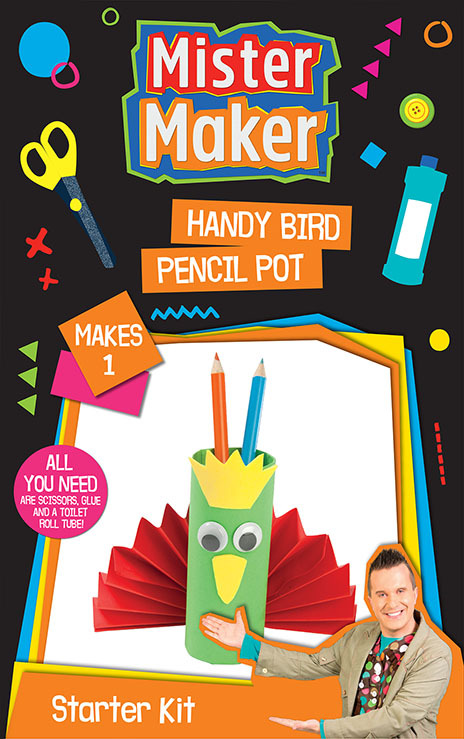 Make a handy bird pencil pot with Mister Maker! All you need are scissors, glue, and a toilet roll tube. 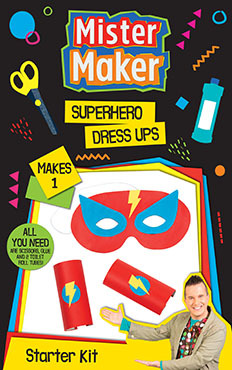 Make superhero dress ups with Mister Maker! All you need are scissors, glue, and 2 toilet roll tubes. 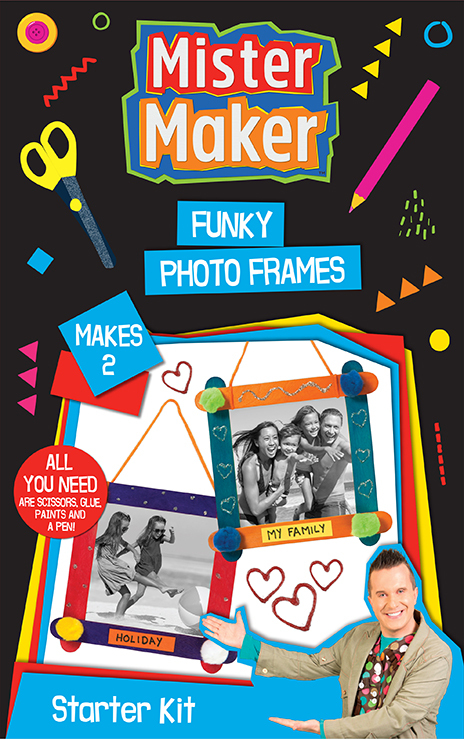 Make funky photo frames with Mister Maker! All you need are scissors, glue, paint and a pen.